Now we must install the client. 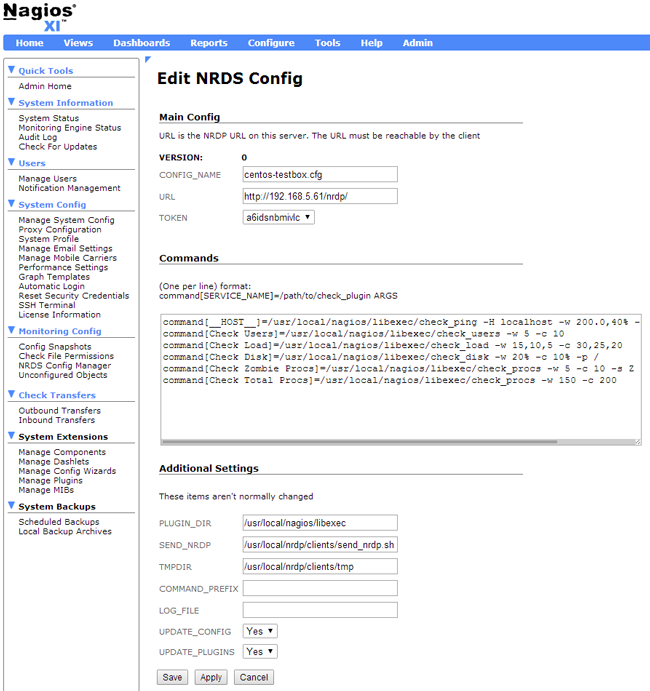 Go back to the NRDS Config Manager (Admin -> Monitoring Config -> NRDS Config Manager). 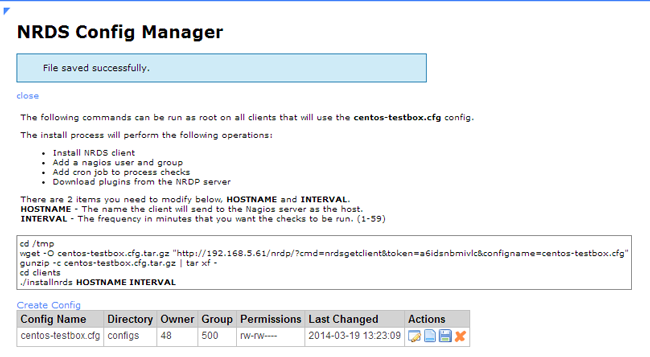 You will see the new configuration file, that you just created (in this case it is called centos-testbox.cfg). 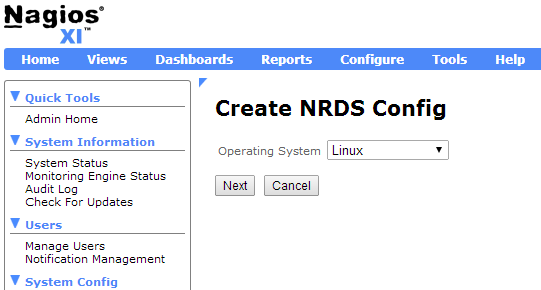 Click on the “Client Install Instructions” button (the “Notepad” icon) to view the commands that you need to run on the client. Run the following Client Install Instruction commands from the terminal on the client machine. 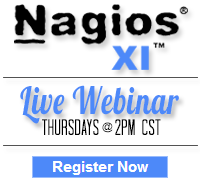 In the last command you will need to enter the hostname and the time interval you would like to use. In the output you should see a confirmation that the client was installed. 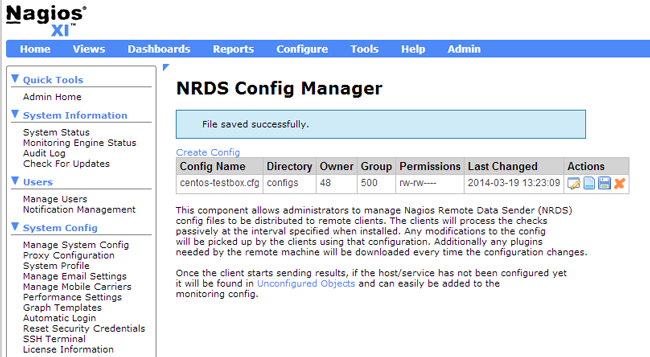 You have now successfully configured a Linux host for passive monitoring with NRDS in Nagios XI. 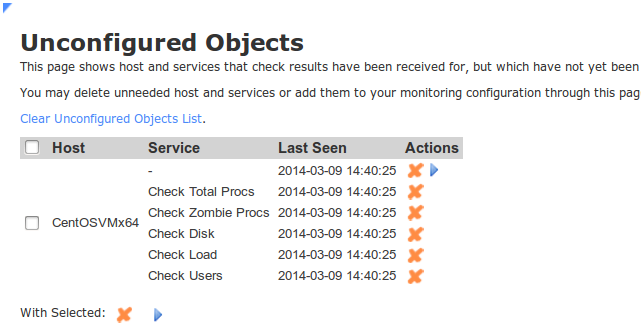 The checks can be viewed in the Service Status Dashboard. What about the perf data, graphs? I see that per data is send (CPU Load).